We keep dipping back into Ancient Greece but the girls wanted to learn a bit about the Aztecs so we are moving into that subject for history at the moment. Usually our history is our English lesson too for the day, but with this project we have decided to make it more of an arty project. First I looked on line for some inspiration and found an Aztec artefact that is kept at the British Museum: The double headed serpent. 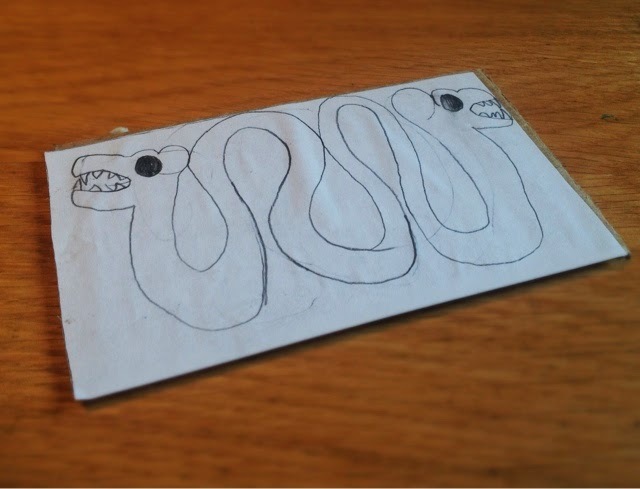 Draw out on a piece of paper about 7cm by 5cm your serpent. Do your best to fill the whole piece of paper. If you click on this link you will be able to see a photo of it and use it to draw out your own template. This one is by my eleven year old. Stick your piece of paper to a piece of card cut out to size: 7cm by 5cm. If you want your could just draw it straight onto your card. 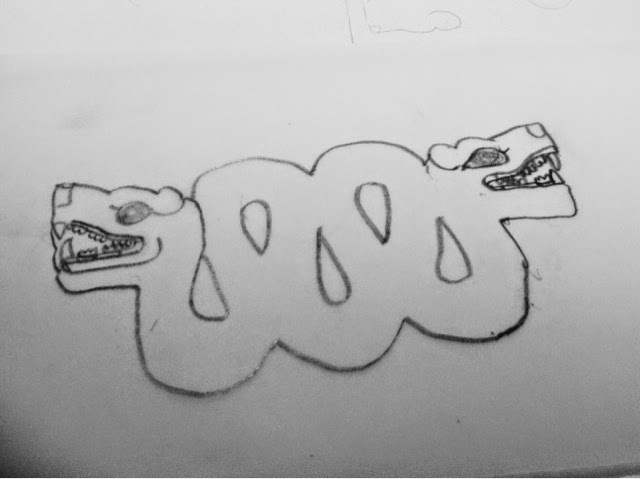 This one is by my 9 year old. You need a responsible adult at this point! Using a craft knife, very carefully cut out your serpent. Be sure that your cut around your serpent carefully so the features are as well defined as possible. 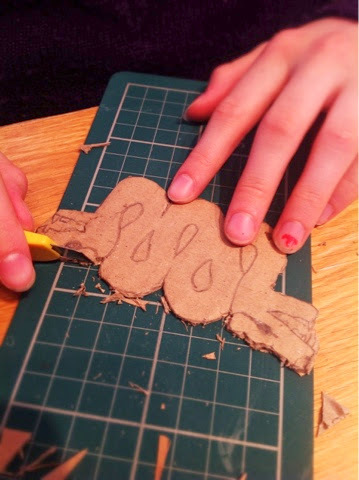 With glue, PVA glue will do, stick your cardboard cut out serpent to another piece of card that is 7cm by 5cm in size and leave until it is dry. 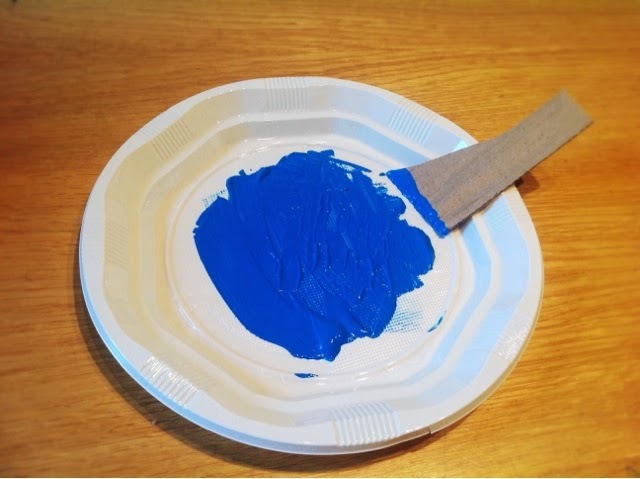 In a plastic disposable plate, or an old plate you don't need, splodge some paint and spread it out using a bit of card so it is a thin layer of paint. 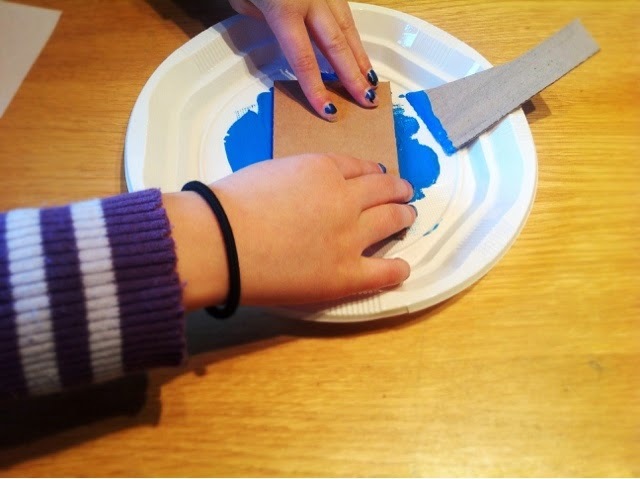 Press your serpent printing block down into your paint. 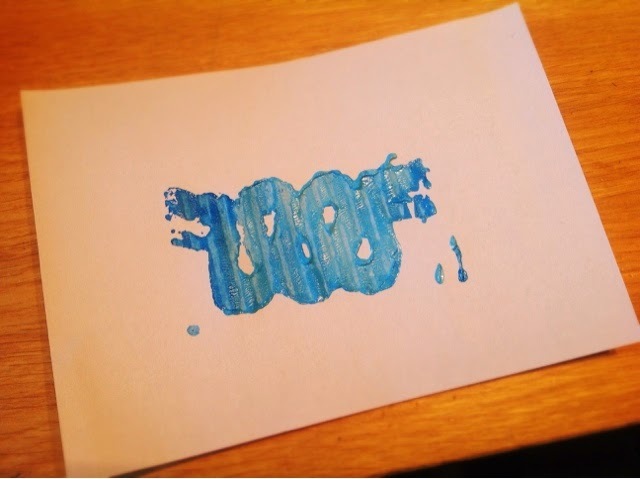 Press it out onto a piece of paper. 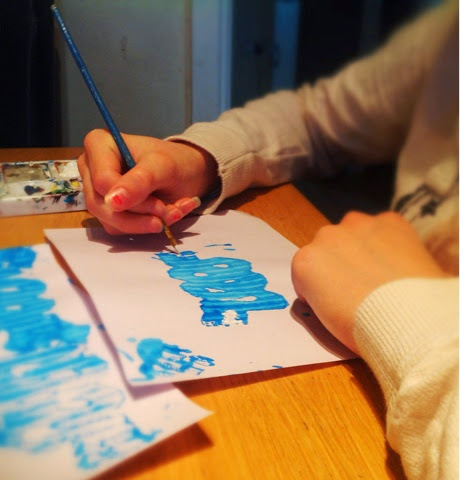 You can do this as many times as you like, on a bigger piece of paper you could make some colourful patterns! When the paint has dried, with a paint brush you can paint on the rest of the details: eyes, teeth, scales etc.